We hit a bit of a cold spell in Belgium in February… and there is only one thing that really chases it away… and that is CHOCOLATE! If you missed the Salon du Chocolat 2016 in Brussels… you can still get your fix with these 5 recipes from our Belgian blogger community! Elien of Elien’s Cuisine created the cutest hidden heart Valentines Chocolate Cake. While Sarah of South & Pepper has a whole plethora of Nutella recipes, this one for Chocolate cake with Nutella & hazelnuts had us drooling. Sylvain of un Peu Gay Dans Les Coings heats things up with a Mexican Hot Chocolate. And finally – it is impossible to say no to a Chocolate moelleux (Lava Cake)… so we are grateful to Ellen of Kokerellen for sharing her recipe! 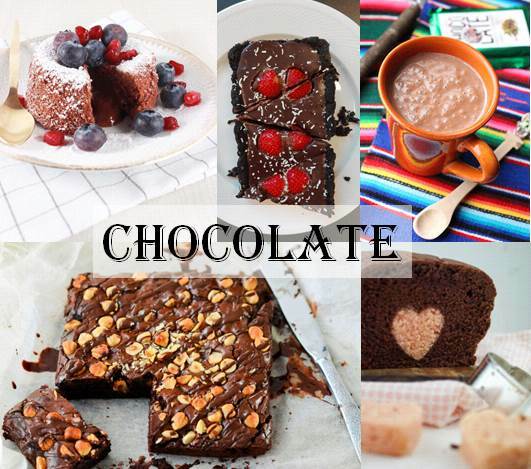 Do you have an Chocolate recipe that you wish to share with us? Just add the link to the comments section below!